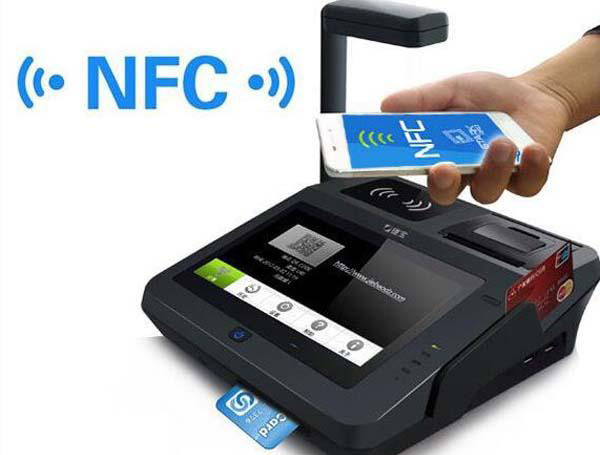 NFC, Near field communication is a new technology. Devices using NFC Technology (such as mobile phones) can exchange data in the case of close proximity to each other. It is evolved from the integration of non-contact radio frequency identification (RFID) and interconnect Interoperability Technology, by integrating an inductive reader on a single chip. The function of inductive card and point-to-point communication is to realize the application of mobile payment, electronic ticketing, access control, mobile identity recognition and anti-counterfeiting using mobile terminals. The technical principle of near field communication is very simple. It can exchange data through active and passive two modes. In passive mode, the device for initiating near field communication, also known as the initiating device (main device), provides the RF field (RF-field) throughout the communication process. It can choose 106 Kbps, 212 Kbps or 424 Kbps to transmit data to another device at one speed. Another device, known as the target device (from the device), does not have to produce a radio frequency field, but uses the load modulation technology to return the data to the initiating device at the same speed. In active mode, initiating devices and target devices generate their own RF fields for communication. So, how do we use near – field communications? In fact, from the characteristics of the technology, we can easily conclude that the transmission distance of near field communication is very short, and the connection speed is fast. Therefore, the near field communication technology is usually built in the device as a chip, or integrated in the SIM card or microSD card of the mobile phone. When the device is applied, a connection can be built through a simple touch. For example, in applications such as door control or ticket checking, the user only needs to close a reader with a ticket or access code to a reader; in an application such as a mobile payment, the user enters a password to confirm a transaction, or accepts a transaction, and allows the user to support two units in the data transmission. The device of the field communication is close, and the connection can be established for downloading music, exchanging images or synchronizing processing records. Near field wireless communication is the mainstream technology of near field payment. It is a short distance high frequency wireless communication technology, which allows electronic devices to exchange data between non contact point to point data transmission. The technology is evolved from RFID radio frequency identification and is compatible with RFID technology. It was first pushed by PHILPS, NOKIA and SONY, mainly used in handset and other handset devices. So when NFC and payment combined, it can provide a lot of convenience and safety for our life. This is also the reason why the global NFC payment is developing vigorously. NFC was originally only a combination of remote identification and networking technologies, but has now evolved into a wireless connectivity technology. It can quickly and automatically establish a wireless network, providing a “virtual connection” for cellular devices, Bluetooth devices, and Wi-Fi devices, enabling electronic devices to communicate over short distances. NFC’s short-range interaction greatly simplifies the entire authentication process, making electronic devices more direct, secure, and clear to each other, eliminating the need to hear various electronic noises. NFC helps solve the problem of remembering multiple passwords by combining all of the identity applications and services on a single device, while also ensuring data security. Like RFID, NFC information is also transmitted through the electromagnetic induction coupling of the radio frequency part of the spectrum, but there is still a big difference between the two. First of all, NFC is a wireless connection technology that provides easy, secure and fast communication. Its transmission range is smaller than that of RFID. The transmission range of RFID can reach several meters or even tens of meters, but because NFC adopts unique signal attenuation technology, Compared with RFID, NFC has the characteristics of close distance, high bandwidth and low energy consumption. Second, NFC is compatible with existing contactless smart card technology and has become the official standard supported by more and more major vendors. 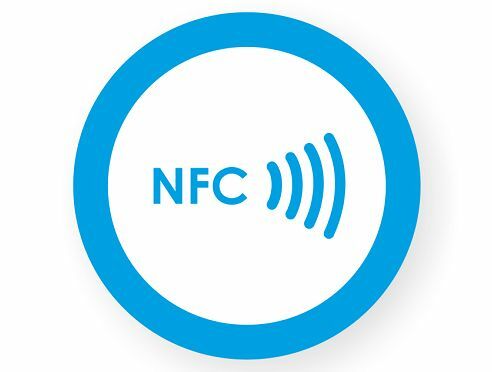 Once again, NFC is a close-range connection that provides easy, secure, fast, and automatic communication between devices. Compared to other connections in the wireless world, NFC is a close-range, private communication method. Finally, RFID is more widely used in production, logistics, tracking, and asset management, while NFC plays a huge role in access control, public transportation, and mobile payment. At the same time, NFC is also superior to infrared and Bluetooth transmission. 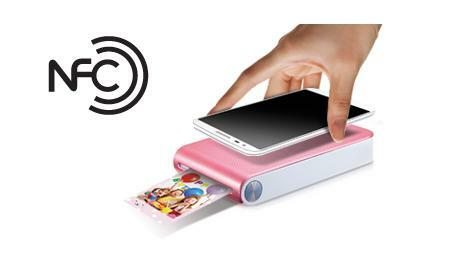 As a consumer-oriented trading mechanism, NFC is faster, more reliable, and much simpler than infrared. Compared with Bluetooth, NFC is suitable for close-range transactions and is suitable for exchanging important information such as financial information or sensitive personal information. Bluetooth can make up for the shortcomings of insufficient NFC communication distance and is suitable for long-distance data communication. Therefore, NFC and Bluetooth complement each other and coexist. In fact, the fast and lightweight NFCD protocol can be used to guide the Bluetooth pairing process between the two devices, which promotes the use of Bluetooth. The NFC mobile phone has a built-in NFC chip that forms part of the RFID module and can be used as an RFID passive tag—for payment of fees; it can also be used as an RFID reader—for data exchange and acquisition. NFC technology supports a variety of applications, including mobile payments and transactions, peer-to-peer communications, and mobile information access. With NFC phones, people can connect to the entertainment services and transactions they want, from any location, at any time, through any device, to complete payments, get poster information, and more. The NFC device can be used as a contactless smart card, a smart card reader/writer terminal, and a device-to-device data transmission link. The application can be mainly divided into the following four basic types: for payment and ticket purchase, for electronic ticket, Used for smart media and for exchanging and transmitting data. What is RFID anti metal tags?